The fashion industry, subject to increased competition and digitalization, constantly needs to renew itself. 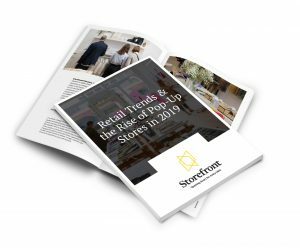 A pop-up store or event is a format that’s particularly sought after in this industry, with brands constantly trying to deliver new customer experiences. From Nike, to Kenzo, H & M, Zara, and Eagle, here’s a quick look at some of the most popular fashion pop-up stores in recent years! Nike took advantage of the hustle and bustle of the NBA All Star Weekend to launch a brand new pop-up concept over 4 days. 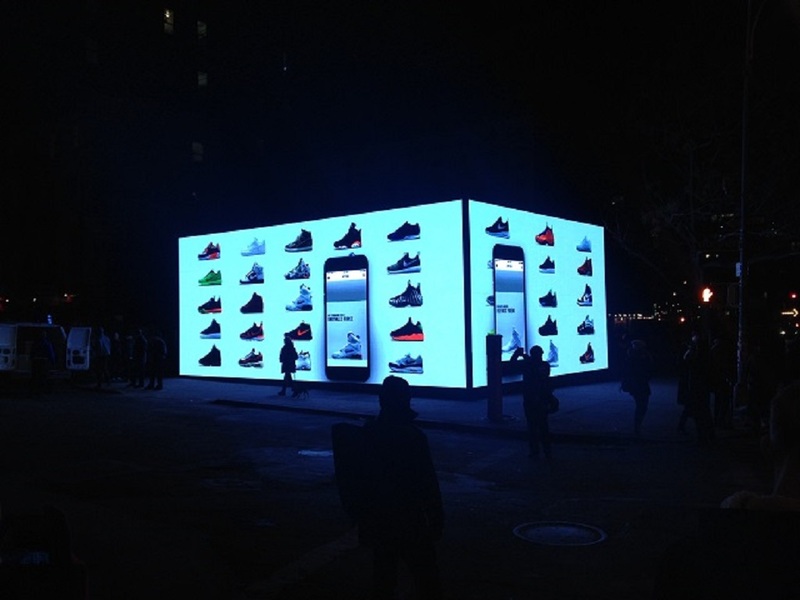 A giant shoebox took over the Soho district in New York to promote the new Nike SNKRS app that will customize shoes and give a preview of the availability of its favorite models. This concept was the perfect ode to Nike’s first inspiration: sports. 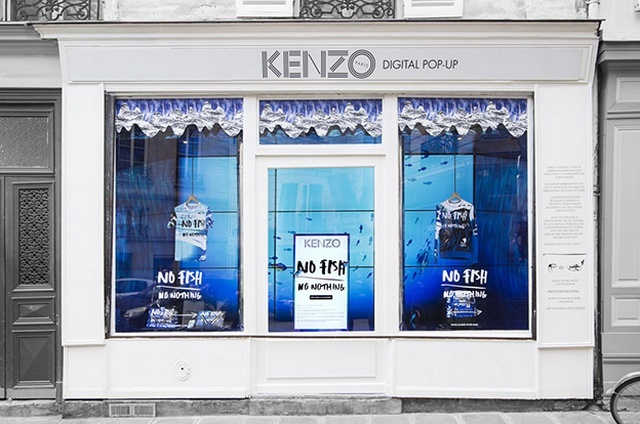 Kenzo settled for a week in le Marais in Paris to convey a message that was close to its heart: “No Fish No Nothing”. This motto echoes one of its parades and shows support for the Blue Marine Foundation, an NGO fighting for the protection of oceans. 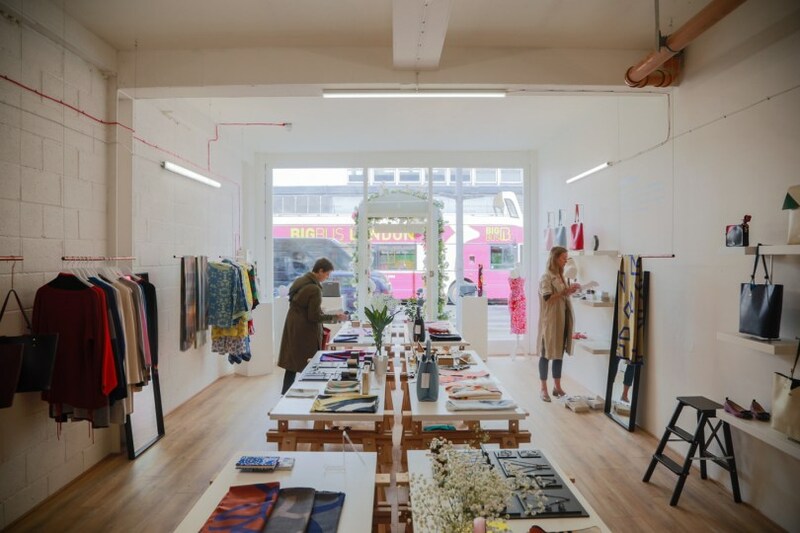 For each product bought from this pop-up store, a small fish was born in the digital ocean that covered the store. With this, the brand reinforced its brand DNA and clearly positioned itself in the minds of its customers. H&M The Locker Room for Beatwax Agency via Vimeo. It was in London during the Olympic Games that the Swedish giant H & M launched a pop-up store for 10 weeks in Covent Garden. On the program: a 100% sportswear capsule collection in Red, White, and Blue! 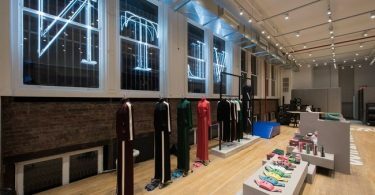 A genius idea of ​​H & M to boost its sport collection, in London’s Covent Garden neighborhood, with a giant dressing room that invited the consumer into a gym atmosphere, at any time of day. The brand organized various games around the sport, with medals representing a good discount. A good way to create in-store traffic! 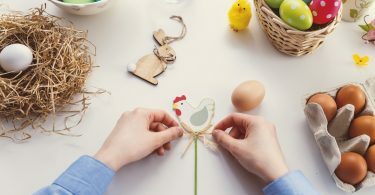 Before launching a new idea, it is always necessary to test it! This is what Zara did by launching a pop-up store exclusively dedicated to its online orders in the heart of London. 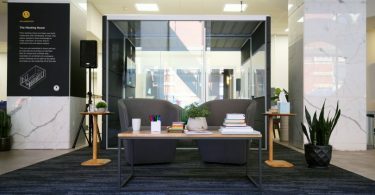 A large white space – 200m² – served as the point for any order placed online. But not only that, the pop-up store was above all a high place of experience for Zara, who introduced a whole new way of shopping. 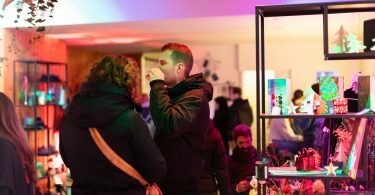 The brand’s customers were able to order from the pop-up store using touch-sensitive tablets, scan the clothes of their choice for more information and try them on using connected mirrors. This is hybrid shopping: merging the physical and the online. The Aigle Boot Bar, located in the heart of Hong Kong, is located in the world-famous IFC shopping mall in Central. 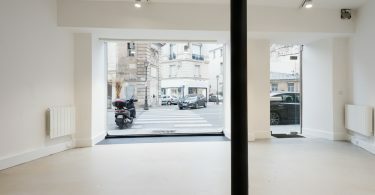 The brand set out to conquer the Asian market, presenting its colorful boots as a museum, surrounded by photographs by Vincent Leroux that retrace the stages of how to manufacture the boot. 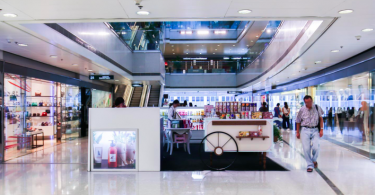 A noticeable pop-up store in the heart of Hong Kong! Looking for an event space or boutique for an extraordinary experience? 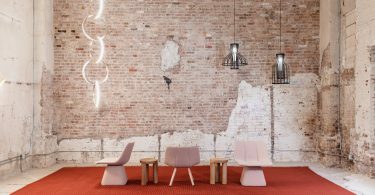 Discover our +10 000 spaces around the world!